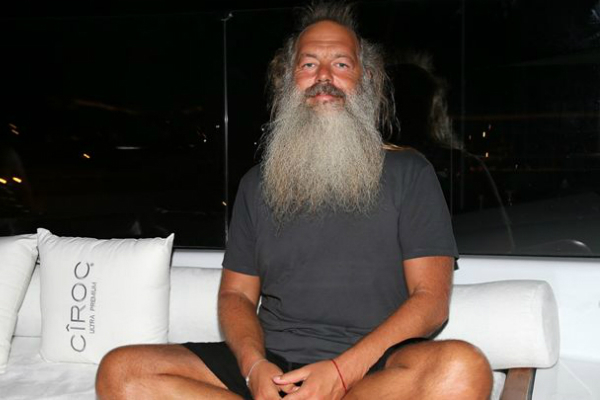 With as many years in the game that Rick Rubin has been active, he still has knowledge to drop whenever he gets the chance. His latest gems come in the form of a Tim Ferris podcast that took place in the most unorthodox place: His own sauna. The 80-minute conversation only had a few ice bath breaks, but even with the heat, Rubin was dishing out wise words on everything from meditation, to how the artistic process can be compromised, his job as a producer, and how you can gain inspiration from art (whether it be novels or paintings). The idea of watering things down for a mainstream audience, I don’t think it applies. People want things that are passionate, that are the best version they can be. And often the best version they can be is not for everybody. It really is small steps and trying not to think too much. It’s more emotion and heart work than head work. The head comes in after to look at what the heart has presented and to organize it. But the initial inspiration comes from a different place, and it’s not the head, and it’s not an intellectual activity. Going to museums and looking at great art can help you write better songs. Reading great novels… Seeing a great movie… reading poetry… The more you can do to get out of the mode of competition, where you get out of what other people are doing and wanting to be better than them or be inspired by them. The only way to use the inspiration of other artists is if you submerge yourself in the greatest works of all time, which is a great thing to do. If you listen to the greatest songs ever made, that would be a better way to work through to find your own voice to matter today then listening to what’s on the radio now and thinking, ‘I want to compete with this. You can listen to Ferris and Rubin’s full interview here.